Scale and Clean is recommended and can be done with dentist Ballarat at least every 12 months. Scale and clean appointment with our dentist can also be used with dental check-ups as this can help the dentists to pick up some early dental issues. Scale and Clean treatment done by our Ballarat dentists can help to remove the tarter, plaque and stains. The dentist has to do the following for a good scale and clean procedure. 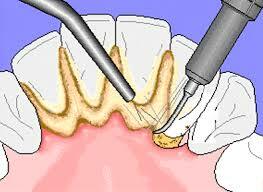 Removal of calculus also called Tartar which is a hard yellow substance. Removal of Stains and Plaque by polishing the teeth with paste. If you are in need of dental scale and clean treatment done at Ballarat, please call our Ballarat Dental Care to book your next scale and clean consultation and speak to our qualified Ballarat dentists doing dental scale and clean in Ballarat.